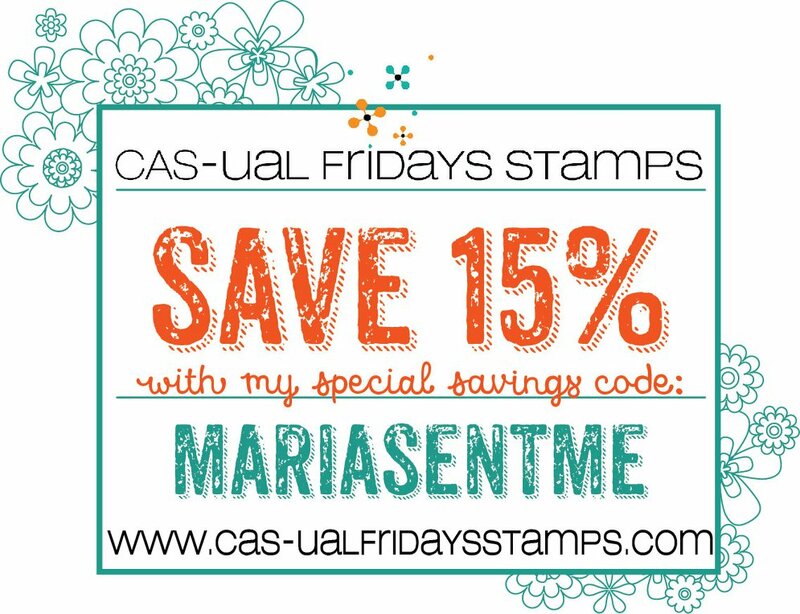 It is day 3 of the March release by CAS-ual Fridays stamps and today, we are showcasing the Sweet Friend fri-dies. The good news is you don’t have to wait! The March release is now available at the shop. For my first project, I am showcasing the Sweet Friend Fri-dies with the Bold Trellis stencil. I inked up my Bristol smooth white card stock with Peacock Feathers, Seedless Preserves, Worn Lipstick and Spiced Marmalade distress oxide inks using the Bold Trellis stencil. I used the stencil again and my moonstone glimmer paste to add some glitter and shine to the background and make it stand out. I set this aside to dry for about half an hour. I die-cut the “Sweet Friend” three times from some black card stock and adhered them together with liquid glue. I used a borders die from my stash to create the borders and adhered the pieces with foam adhesive on my colored background. I used foam adhesive to adhere the Sweet Friend sentiment on my card. I love the new trio of dies included in the Sweet Friend fri-dies. I hope you like my projects today. The stencils are now available for purchase at the shop. Please don’t forget to use my coupon code “MARIASENTME” for 15% off your order. I hope you have an amazing weekend, and happy crafting! 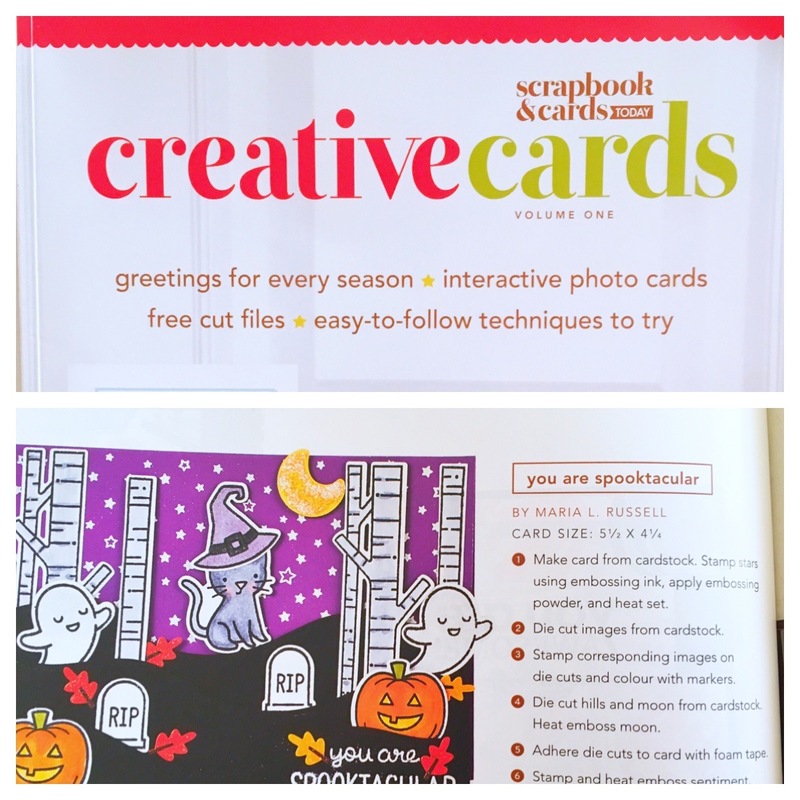 use an electronic die-cutting machine (or fussy-cut) to die-cut the stamp images. 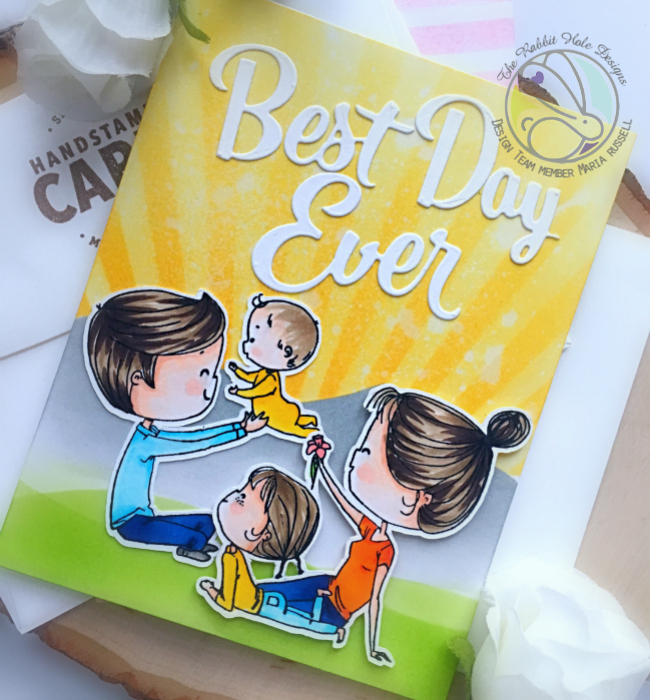 on a piece of Bristol smooth white card stock, ink up the background with broken china distress oxide ink using a clouds stencil and mini ink blending tool. die-cut another piece of 110 lb. white card stock using the foliage frame die. 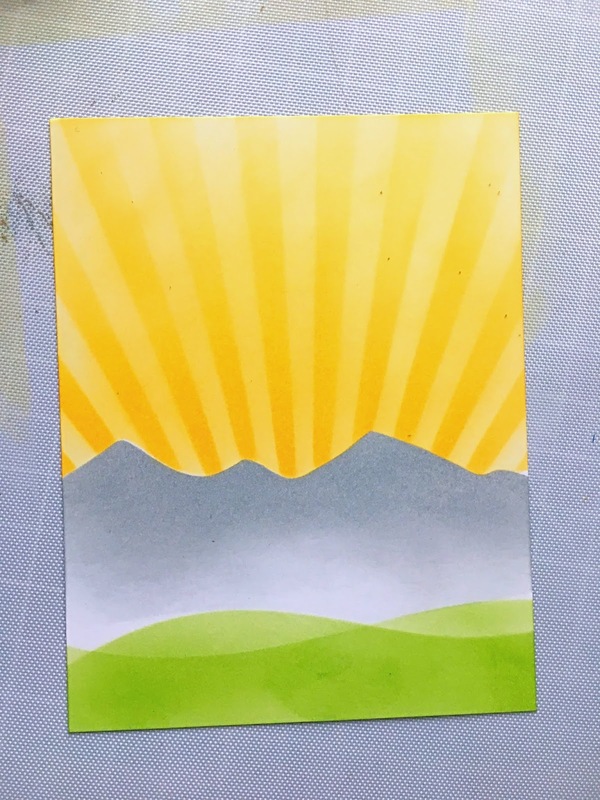 use painter’s tape to mask the bottom of the card stock and ink it up with mowed lawn distress oxide ink. adhere this foliage frame die-cut on the colored background with some foam tape. adhere this piece onto an A2 size card base. adhere the stamped image onto the card. For my second card, I did the first three steps above. I also used my Drifts and Hills stencil to ink up the bottom of the colored background to create the grass hill. I die-cut the colored piece using the Park Avenue Frames die. I adhered this piece on an A2 size card base with foam adhesive and liquid adhesive. Aren’t these images so sweet? 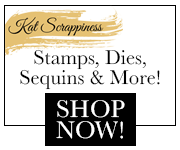 I LOVE, love, love this stamp set! 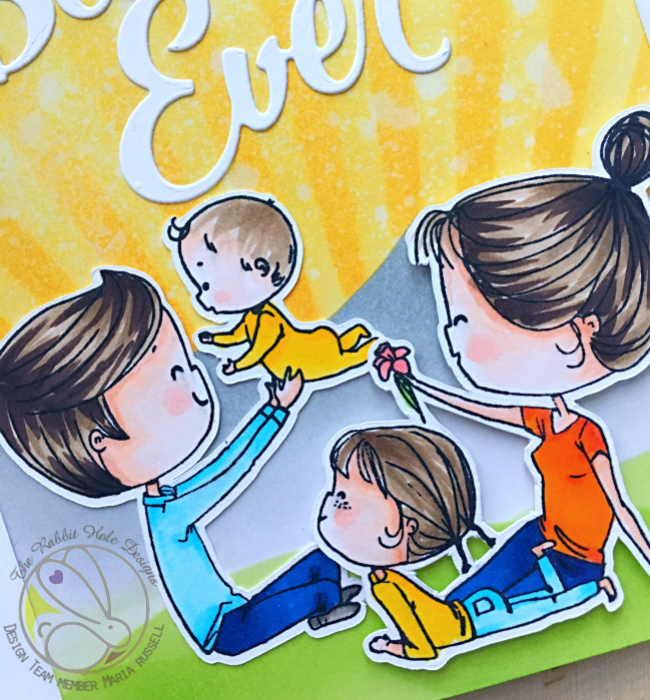 To celebrate day 2 of the release, The Rabbit Hole Designs is giving away the We are Family stamp set featured for today to One lucky winner. Winner will be chosen at random from the comments left on participating blogs, so make sure to visit each stop and leave a comment. Leave comments by 11:59 pm PST on March 28, 2019 on all participating blogs. 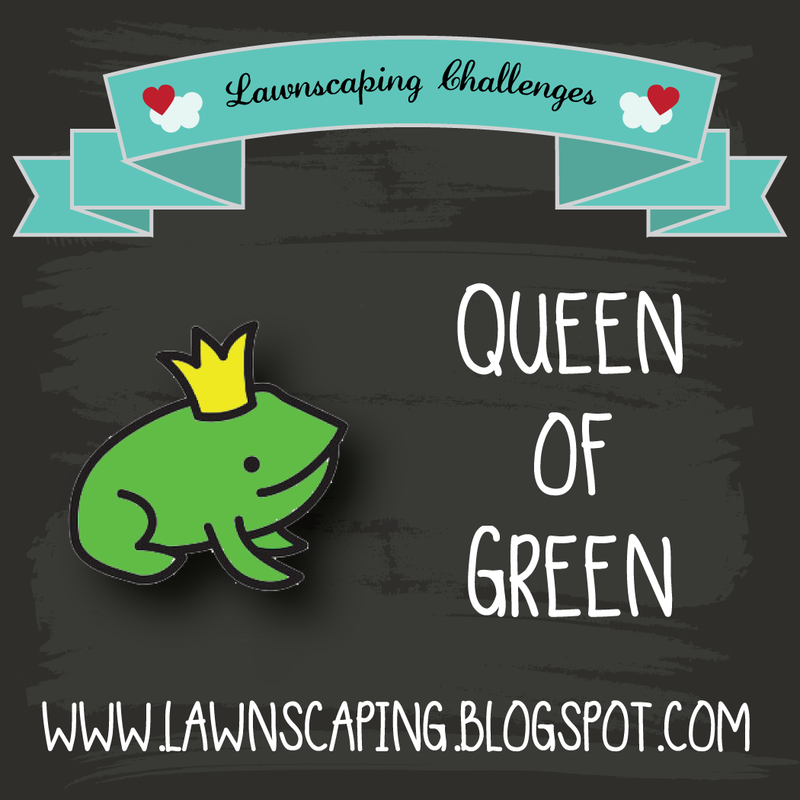 Winner will be announced on The Rabbit Hole Designs blog March 29, 2019. I hope I have given you some great inspiration today. 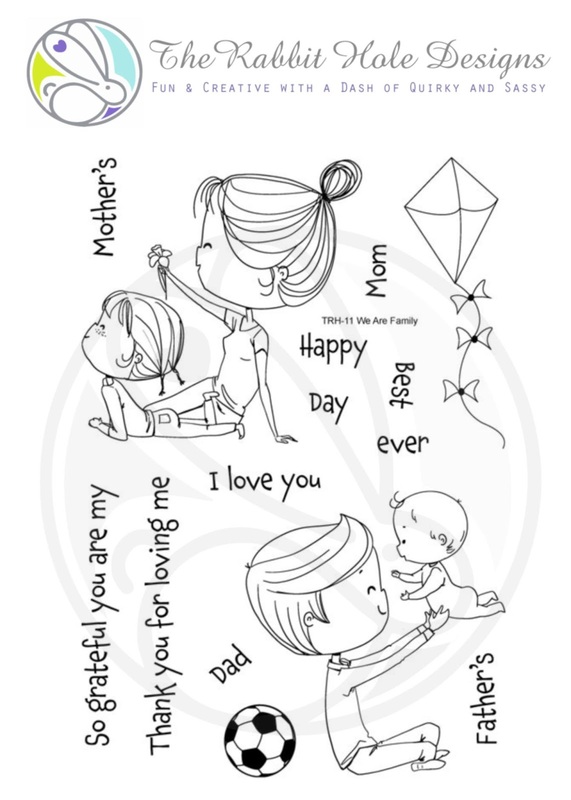 The We are Family stamp set is now available for purchase at The Rabbit Hole Designs website. 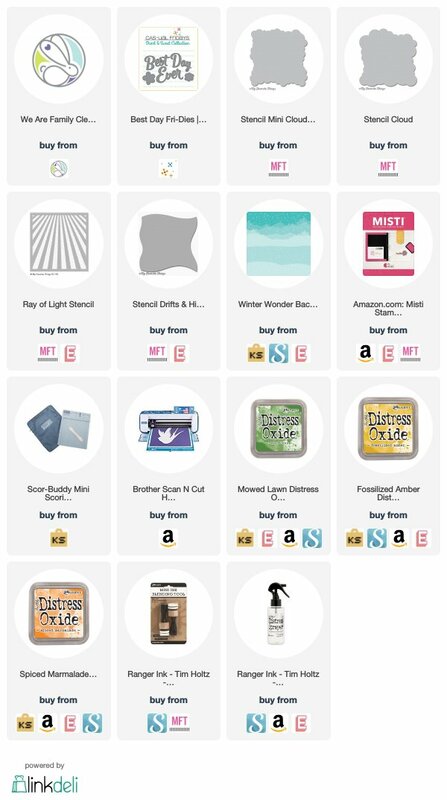 The rest of the supplies I used are listed and linked below. Have a wonderful day and happy crafting! It is day 2 of the March release by CAS-ual Fridays stamps and today, we are showcasing five (5) new stencils. These stencils are now available for purchase at the shop. 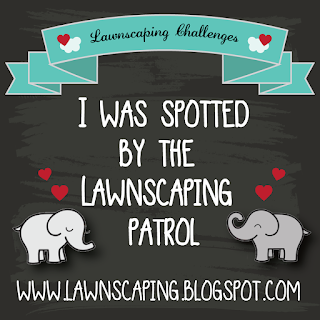 For my first project, I am showcasing the Starlequin stencil, and I mixed it up with the Garden Fri-dies and Supercalifragilistic stamp set. I inked up my Bristol smooth white card stock with Worn Lipstick and Antique Linen distress oxide ink using the Starlequin stencil. I used my paper trimmer to trim the excess. I adhered this piece on a cream A2-size, side fold card base. I die-cut the flowers and leaves using the Garden fri-dies. I die-cut another rectangle piece of some cream card stock and stamped my sentiment using the Supercalifragilistic stamp set. I adhered this piece on my card with foam adhesive. I adhered the flowers and leaves with some liquid glue. To finish my design, I added some sparkling clear jewels to adorn the card. I love the Supercalifragilistic stamp set so much. 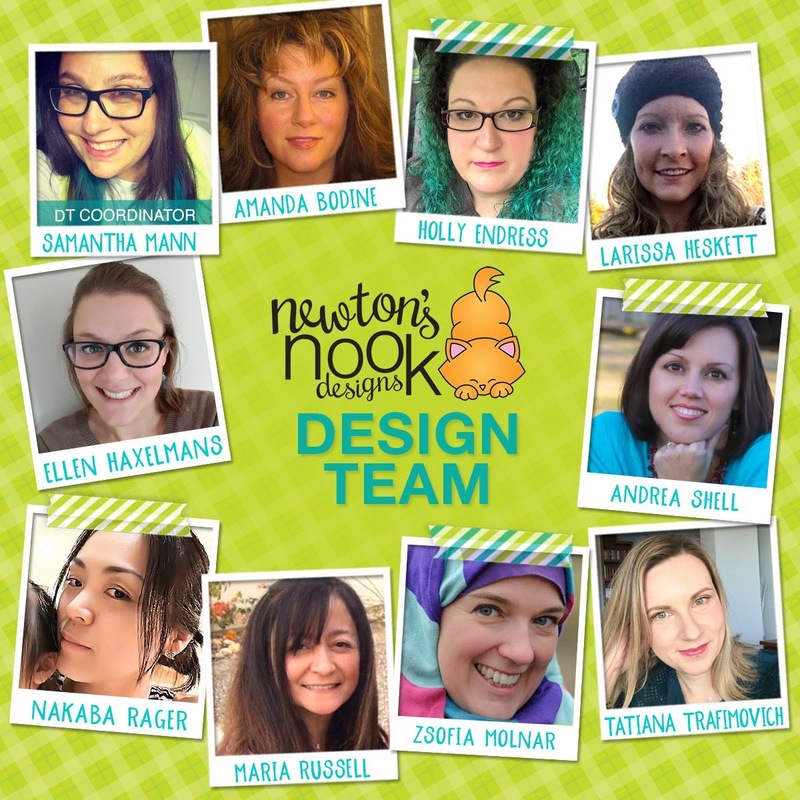 It’s sassy, funny and very uplifting! For my second project, I used the Tin Roof stencil with the Nate & Friday stamp set. I inked up some Bristol smooth white card stock with Picked Raspberry and Spiced Marmalade distress oxide inks using the Tin Roof stencil. I used the Tin Roof stencil again with my moonstone glimmer paste to add some glitter and shine and to make things pop! I stamped my dog and fussy-cut the image. I used an oval stitched die to die-cut a window. I stamped the little paw prints all over the card with some fog ink. I adhered my dog in the middle of the oval window with some foam adhesive. To finish my design, I stamped the sentiment with some Versafine Onyx black ink. I love, love, love all the new stencils I can’t even pick a favorite. I hope you like my projects today. There’s no need to wait! The stencils are now available for purchase at the shop. Please don’t forget to use my coupon code “MARIASENTME” for 15% off your order. I hope you have an amazing weekend, and happy crafting!